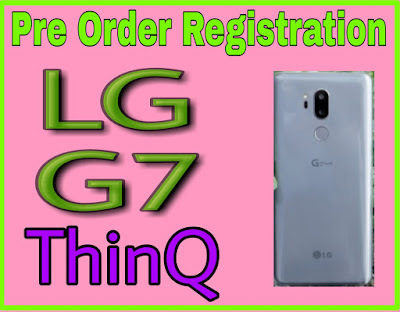 LG G7 ThinQ Pre Order Online Registration : LG is once ready to make its place in the smartphone market. The company has just launched its new smartphone LG G7 ThinQ which got a very good response. However, it is not available in the market so far, But to sell this phone, the company has made a special strategy under which this smartphone will be sold. First of all, this smartphone has been launched in the USA. According to reports, LG G7 ThinQ is specially designed keeping in mind the needs of US consumers'. 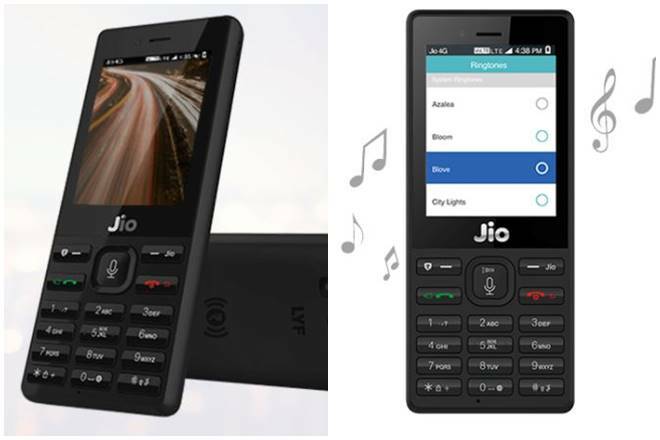 Well, now this smartphone is not available in the market but for the sale of this, the company has started Online Registration through which a USA person can place order to buy this phone, after which, depending on the availability All Pre Ordered users will be provided. 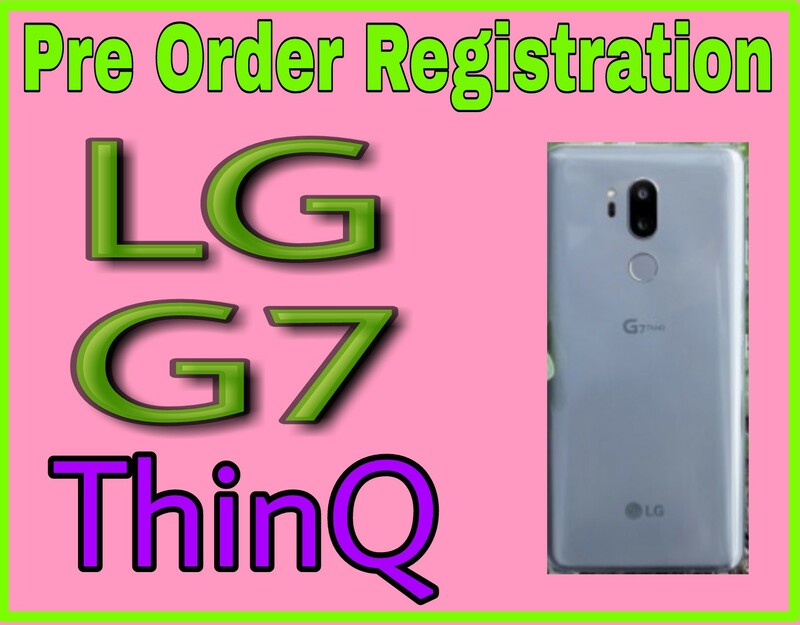 E-Commerce companies like verizon, sprint & T-Mobile offers PreOrder for LG G7 ThinQ, if you want to purchase this you have to order it online. 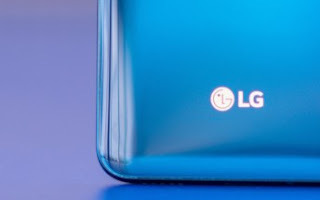 Resources are found that Online Registration of LG G7 ThinQ smartphone has been started in USA on mega E-Commerce store Verizon, Sprint and T-Mobile. 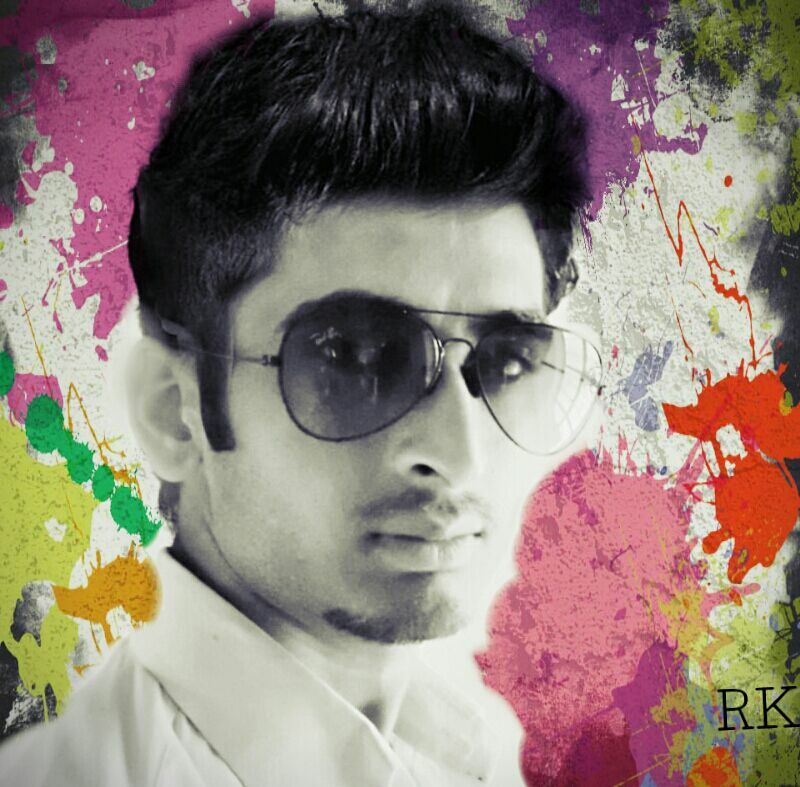 This beautiful also available in EMI. For this, buyers might order it through Credit Card. The latest one Smartphone of LG, Comes with the IPS LCD capacitive touchscreen display along with 16M colors & 6.1 inches (91.o cm2) long screen to body ration of 82.6%. The resolution of the LG G7 ThinQ's Display is1440 x 3120 pixels. It is comes with Android 8.0 (Oreo) based operating System which is quite Older version of Android OS. Moreover, company has announced that later on the OS of this smartphone will be upgrade to Android 9.0 . Here are the details to Pre Order this smartphone on verizon. For the Online Registration of this smartphoen, verizon selling it on $750, Though, for small buyers, verizon also offers EMI asking for $31.25/month for 24 Months. Verizon also offers Total Mobile Protection at $13/month & Declining equipment protection absolutely free. Search for the LG G7 ThinQ. Now, you can select Protection option, if you want. Here, enter your address details carefully. 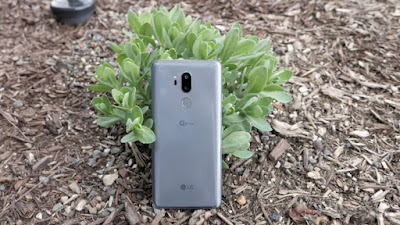 You successfully Registered LG G7 ThinQ on Verizon. Below are the details to PreOrder this smartphone on sprint. Well sprint offered this smartphone at cost of $33/month (for 18 months). Sprint is also running a BOGO promo to know about it visit to sprint. Click on Pre Order to register. Select Protection option, if you want. 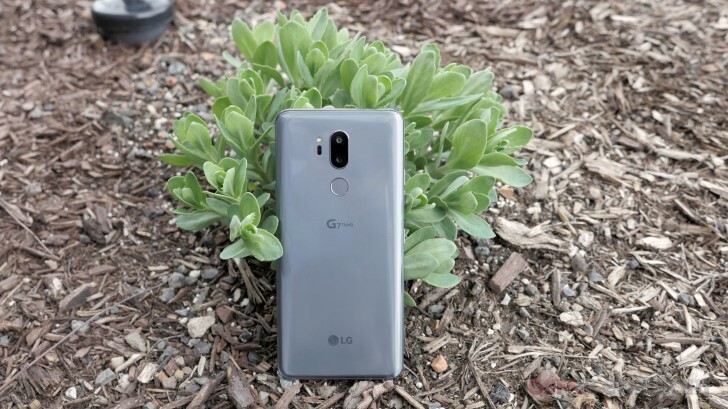 You successfully Registered LG G7 ThinQ on Sprint. 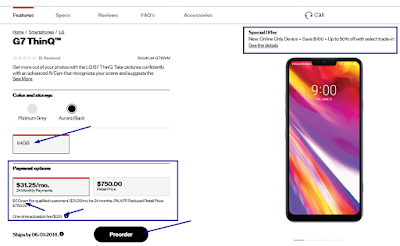 Several promos & offers have been started to PreOrder LG G7 ThinQ on E-Commerce stores including above. T-Mobile also available to Register this smartphone. Well, the date of pre registration closing have not yet been announced.